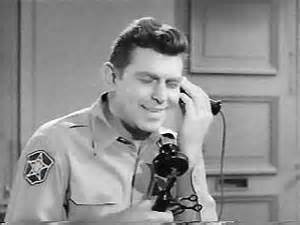 I just love Andy Griffith. Not only does he have all that folksy humor, but he also featured bluegrass music on his show--including visionary guitarist Clarence White and the Dillards. Yet when I saw him on the phone, I always wondered how that thing even worked. When I'm at the UFT phone bank, I'm dealing with similar antiques, yet no one plays Clarence White. But we aren't in Mayberry anymore. Now that rapey Judge Biff has been nominated by our unelected President, now that the Senate who most of the country did not choose have confirmed him, and now that the targets on the backs of the United Federation of Teachers have been amplified and enlarged, we need to turn our attention to the upcoming elections. While the US Senate may stay in the hands of the racist, xenophobic, misogynist GOP, we have a good shot at turning our local Senate blue, for real this time. For a long time, the Senate has been red in our blue state. Once it appeared to go blue, our reptilian governor saw fit to enable the Independent Democratic Caucus, a bunch of traitors elected as Democrats, who caucused with Republicans. I don't see any way we stop Cuomo from getting another term, and voting for a Republican governor may be even worse. Cuomo is posing as progressive right now, and one way to force him to put his money where his mouth is will be to elect a Democratic Senate. We will lose in the highly partisan US Supreme Court, every time, and our only hope, for a while, is local. My priorities in politics are pretty simple. I am a unionist, and I support working people. Having seen people die for lack of it, I support universal health care. I don't believe people should work for less than a living wage. And I believe that college ought to be affordable. We need something better than Governor Cuomo's highly limited Excelsior Scholarship, serving fewer than 4% of our students. Our Assembly has passed a bill to enable universal health care in NY State for a few years running now. This bill dies in the Senate every year. If we have a blue majority, we may be able to change that. And if we move, maybe California will, and maybe other states will follow. This, in fact, is how universal health care was enabled in Canada, one province at a time. Most Americans favor universal health care, despite the propaganda put forth by the morally bankrupt GOP and Fox News. So what's up with the headline? I don't know whether or not you've ever phone banked for the UFT, but I have. We sit with printed lists and push button desk phones. We dial each number, sometimes several times. I'm not clear why, in 2018, we're using 1970-style technology. I'm absolutely sure we could tie phone calls to computers, and I know in Queens, at least, there are rooms full of them. Why don't we find a program where you could sit with a screen, push one button, and have the call go forward? Why are we using paper? I actually did a bunch of calls last summer to sign up new members. I was happy to do it, but I pity the poor soul who had to read my notes. I find it remarkable when I can read my own notes, which is just one reason I'm virtually married to my computer. We need to have a blue Senate in NY State and UFT can be a pivotal factor in that. Why doesn't someone take a look at modernizing one of the most important tools we have in this crucial election year?